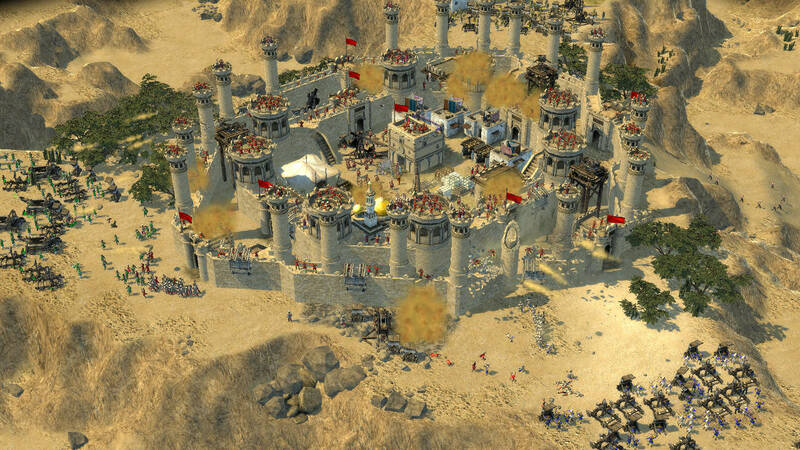 We had checked out Stronghold Crusader 2 and its two player co-op mode back in September. Impressive and detailed visuals combined with addictive gameplay made it one of our favorite co-op RTS games to come along for some time. Developer FireFly Studios has continued support for the game with several free and premium updates adding content, tweaks, and new modes of play. The lastest premium DLC releases today, May 13th on Steam. Called The Emperor and the Hermit the pack adds two new enemy lords, new castle designs, new achievements, and new shields. To go along with this premium DLC is a pack of maps for free, available to everyone. If you're interested in checking it out we've got 10 copies of the DLC to giveaway. Simply enter below and we'll randomly choose 10 winners on Thursday, May 14th. Page created in 0.5815 seconds.